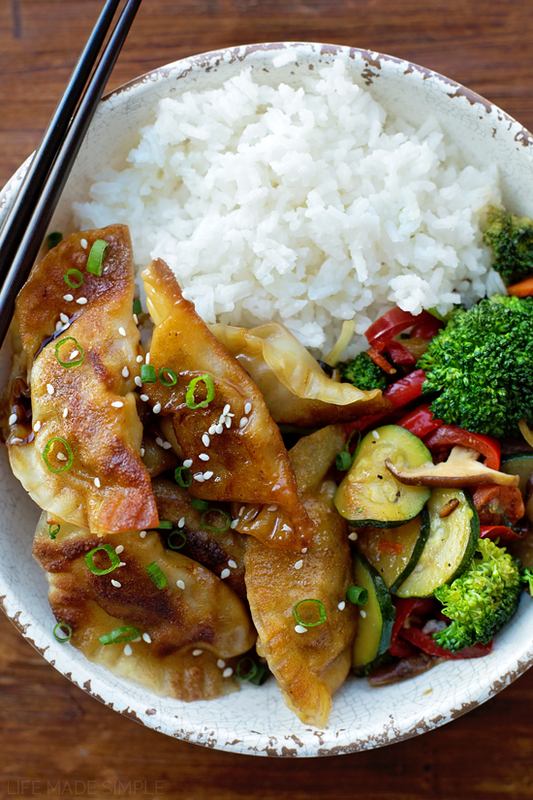 Growing up one of my favorite meals consisted of vegetable stir-fry, steamed rice and beef pot stickers or gyoza. Warning: this recipe is slightly different from the traditional recipes you’ll see. It consists of beef instead of pork and carrot instead of cabbage (I’ll be sharing a more traditional version in the next few months). But you know what, they’re just as amazing!! We make them at least once a month and they never get old! We always have rice on hand and use whatever veggies we have in our fridge/freezer to make a quick & delicious stir-fry. 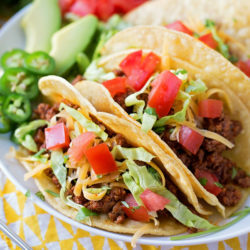 This 30 minute meal is always a winner! 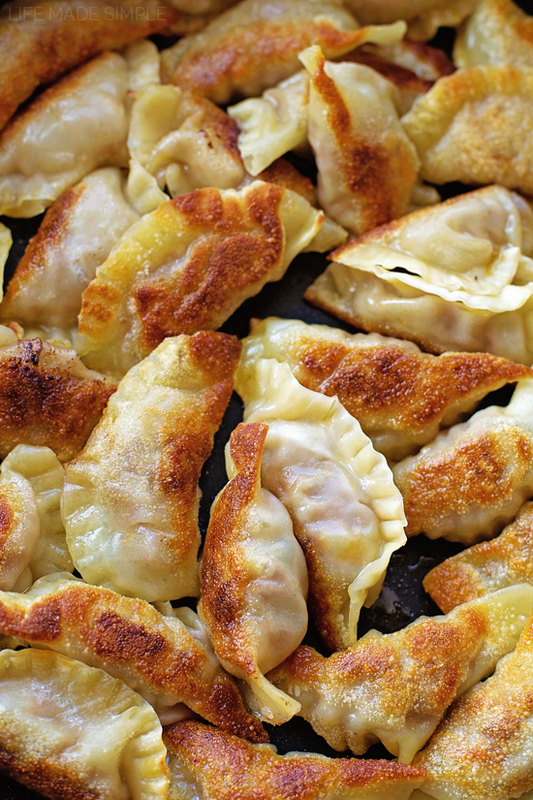 To make the gyoza, you’ll need a package of wonton wrappers. We always made them with the square ones, not the round dumpling ones. You can use either. You’ll also need about a pound of ground beef, 2 medium size carrot, onion, garlic, black pepper, cornstarch, soy sauce, and sesame oil. Mix everything together and then add about a scant tablespoon into the center of each wrapper. Dab your finger in warm water and drag it across two edges of the wrapper. fold over and press to seal. Then, using a fork, crimp the edge so that the wrapper really sticks together. There’s no pleating involved here, which makes these even easier to prep. Place a large skillet over medium-high heat and add a few tablespoons of canola or vegetable oil. When the oil is hot, add the gyoza and fry both sides until brown. You may need to do two batches depending on the size of your pan. I have a HUGE, deep skillet and I still usually end up doing two batches because I want there to be enough room for them to get nice and crispy. Do not overcrowd!! Once they’re cooked on both sides, add some water, soy sauce and sesame oil to the pan. Cover and reduce heat to medium-low. Steam until the sauce has reduced and the beef is cooked throughout. 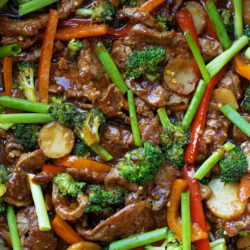 Serve with a big scoop of freshly steamed rice and lots of stir-fried veggies!! These we be gone in seconds! I love them, my husband loves them and our toddler loves them. They’re always a hit. P.S. the leftover gyoza taste just as yummy as they did the night before 🙂 I hope you’ll give these a try ASAP! 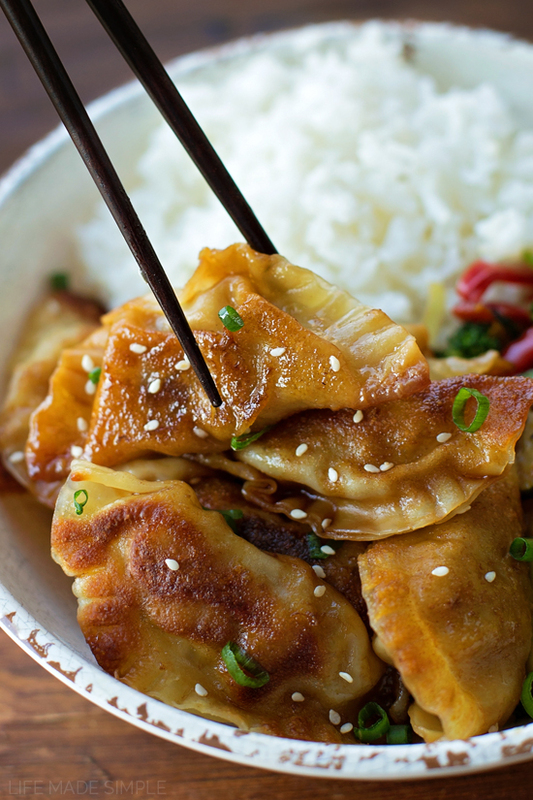 These quick & easy beef pot stickers (gyoza) are sure to be a hit! They're pan fried, then steamed in a delicious sesame soy sauce. In a large mixing bow, combine the ground beef, carrot, onion, garlic, black pepper, cornstarch, soy sauce, and sesame oil. Mix everything together. Place a scant tablespoon of filling into the center the wrapper. Dab your finger in warm water and drag it across two edges of the wrapper. fold over and press to seal. Then, using a fork, crimp the edge so that the wrapper really sticks together (this eliminates the need to pleat the edges). Repeat with remaining ingredients. Place a large skillet over medium-high heat and or vegetable oil. SEE NOTES if your using a smaller pan. When the oil is hot add the prepared gyoza and fry both sides until brown. Once they're cooked on both sides, add the water, soy sauce and sesame oil to the pan. Cover and reduce heat to medium-low. Steam for about 5 minutes. Serve with rice and vegetables, garnish with sesame seeds and sliced green onions, if desired. 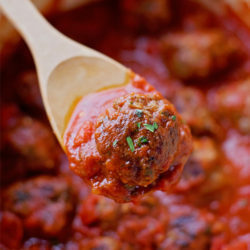 -I use a lean ground beef (83%) and cornstarch for extra tender dumplings. -I use low-sodium soy sauce. FOR A SMALLER PAN: if you can't fit all of the gyoza into your pan at the same time, divide the gyoza evenly and add an additional tablespoon of water and soy sauce to each batch. These look delicious but type of wrapping are you using? oh I would absolutely love these! Yummy! 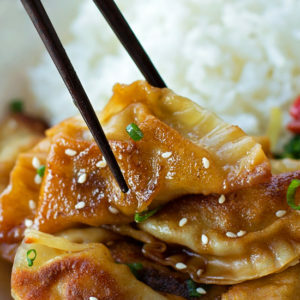 Do you cook the beef before placing it in the wontons? Egg roll and gyoza wrappers come in several different counts. Please specify how many wrappers are needed for this recipe. There isn’t a set amount. I usually purchase a 12 oz. package and have some wrappers leftover. These turned out deliciously great! Perfect with some veg rice or quinoa. Thanks for a relatively easy recipe and enticing me to step out and try something new! Are you able to use a microwave to cook them? Unfortunately this is a stovetop recipe.